We’ve seen a lot of interesting dating services in the last few years, like Hater, an app that matches people by things they both hate, Dating AI, a service that lets you date people who look like your favorite celebrities, or Trump Singles, a dating site catering exclusively to Donald Trump supporters. But if you prefer a more scientific approach to dating, you may want to try Pheramor, a unique dating service that matches people by chemical compatibility, by analyzing and comparing their DNA. Pheramor’s approach to finding suitable matches for singles is a bit different than that of most dating services. For $29.99, the company will ship users a DNA kit containing a buccal swab that they have to return for analysis after swabbing the inside of their cheeks. Pheramor will then analyze the samples and sequence 11 genes allegedly linked to attraction and compares the results with others in its database to determine chemical compatibility. The company then sends the user three potential match in their area (with their photos blurred) every day, each graded from 0 to 100, based on estimated compatibility. As the company’s name clearly suggests, Pheramor’s approach is based on the concept of pheromones, chemical substances produced and released into the environment that can affect the behavior and physiology of other individuals of a certain species. “The way species can ‘sense’ how different the DNA is in a potential mate is through smelling their pheromones,” the Pheramor website states. “If human pheromones actually elicited the kinds of behaviors we see in other mammals the subways of New York City would be in a constant state of mayhem with people hopping all over each other,” Doty added. The DNA-based dating service encourages users to also link their social media profiles with its dedicated app, thus allowing an algorithm to data-mine for personality traits and mutual interests, to increase the chances of finding a great match. Pheramor sends blurred profile photos of potential matches to its users in order to discourage mindless swiping based on physical appearance, and while that may be a deal-breaker for a lot of people, the company claims that its system actually works better. Its data allegedly shows that users have more second dates than people using traditional dating apps. If the idea of pheromone-based dating sounds familiar, it’s because it has been done before, albeit in a less scientific manner. Back in 2014, we wrote about “pheromone parties“, casual events that allowed people to sniff out the perfect partner by smelling bags full of strangers’ worn clothes. If any of the clothes smelled right, it was time to meet the wearer. 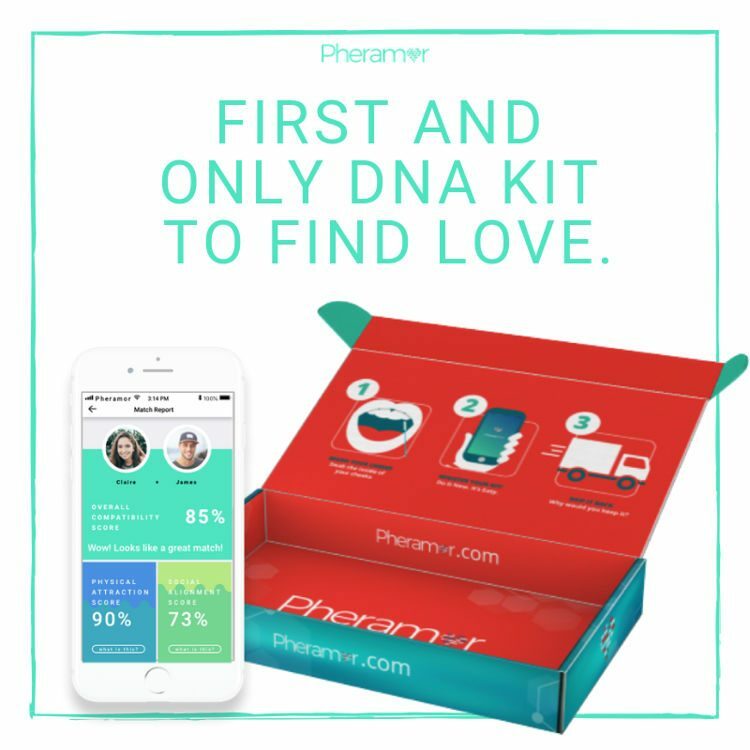 Founded in February 2018, in Houston, Pheramor is currently expanding its DNA-dating services nationwide.